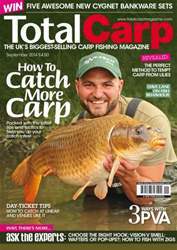 Cover star Craig Mortimer puts some of his superb surface fishing tactics into practice and bags stunning carp to over 30lb! He’s a new ace in the pack and is fast becoming a popular regular in the pages of the magazine, and not without good reason. He’s a seriously good catcher of carp and his tips can undoubtedly put you on the right tracks to more success. Our Ask The Experts section is packed full of useful advice this month, including how to choose the right hook, bait smell versus vision, wafters or pop-ups and an interesting piece on how to fish effectively with zigs. Dave Lane’s brilliant series, Exploding The Myths, continues with our favourite instalment yet. Dave puts his years of experience targeting carp to great use as he explains how so much of the accepted folklore with regard fish behaviour is so often absolute rubbish! 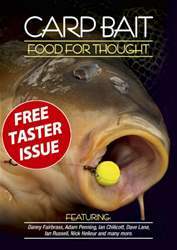 He reveals how to cut through the rubbish and catch more carp off your own back. At this time of year, many lakes have lily pads that are in decline but very much still a favourite haunt of the resident carp. 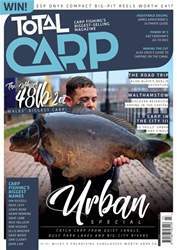 They can be a tricky proposition to effectively target the carp from, but another newcomer to TC, Dean Watson, has a brilliant trick up his sleeve that will definitely help you fish to these obstacles and draw the carp from their lair. 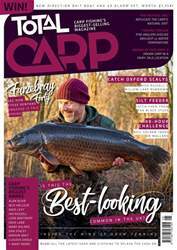 Our editor has chosen the hugely talented Lee Morris’ feature as his pick of the month, as ‘Mozza’ takes a humble potato and transforms it into a near-irresistible carp bait, sets out to prove that it works... and does so in style. This is a truly different article compared with the usual boilies and pellets stuff, and you’ll absolutely love seeing how it works. 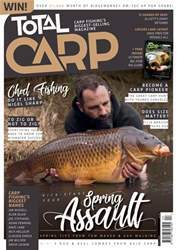 We’re running out of space to reveal the rest of this month’s line-up, including Ian Chillcott, Darrell Peck, Ian Russell, Mark Pitchers, Linear Fisheries Tips, John Kneebone and a huge section of the latest gear reviewed by the TC team. The September issue is an absolute cracker... download it now!